Acrylic on canvas, 72 X 96 in. Gifted to the University of South Dakota Foundation, Vermillion, South Dakota. 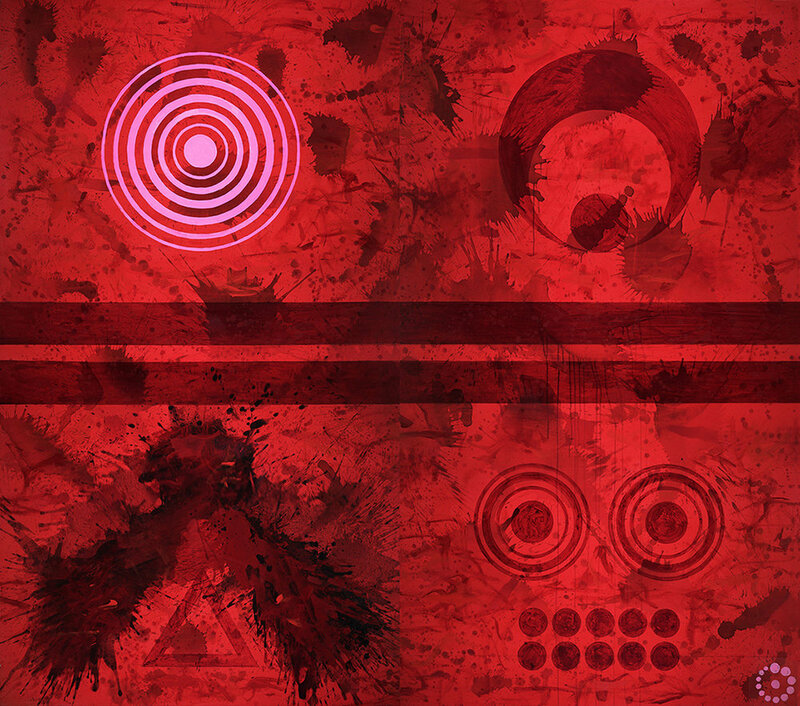 Acrylic on canvas, 90 x 276 inches (228.6 x 701.04 cm). 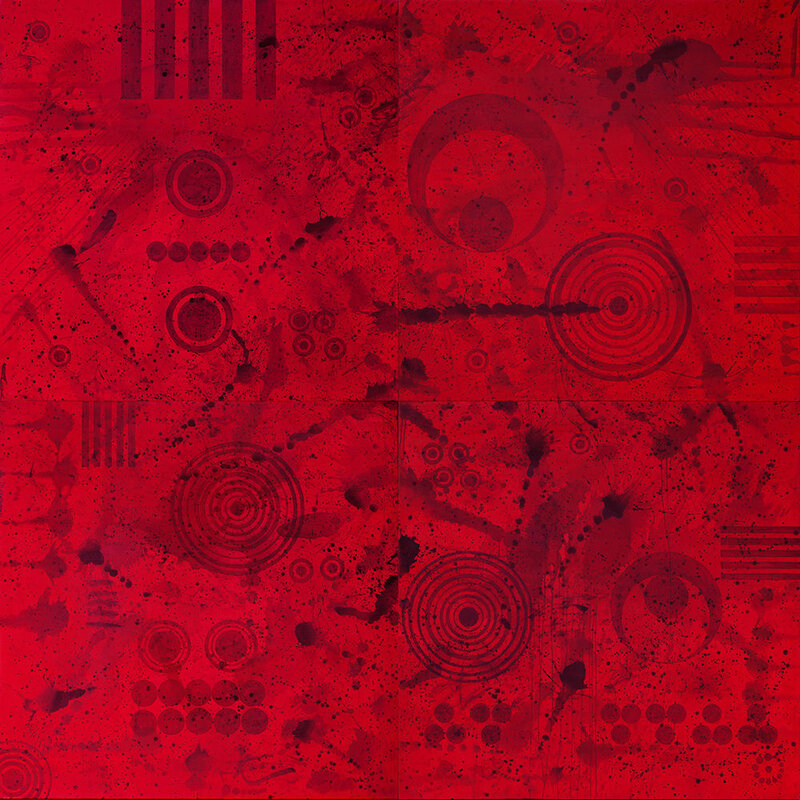 Acrylic on canvas, Four diptychs, 144 x 192 inches (365.76 x 487.68 cm). 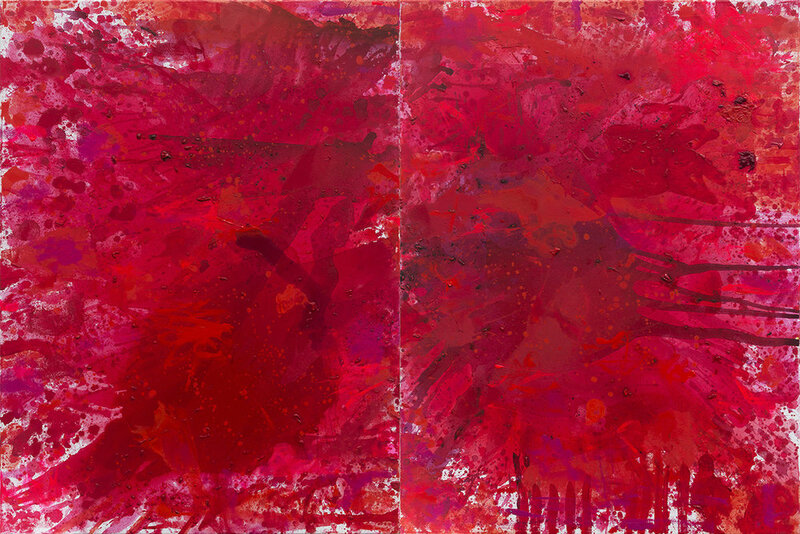 Each diptych: 72 x 96 inches (182.88 x 243.84 cm), Two panels, 72 x 48 inches (182.88 x 121.92 cm) each. Framed: 150 x 198 inches (381 x 502.92 cm). 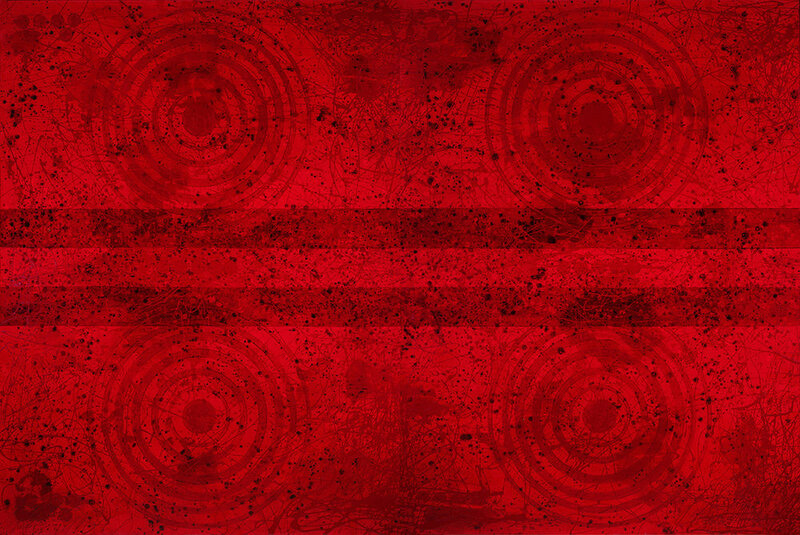 Acrylic on canvas, 60 x 72 inches (152.7 x 182.88 cm). 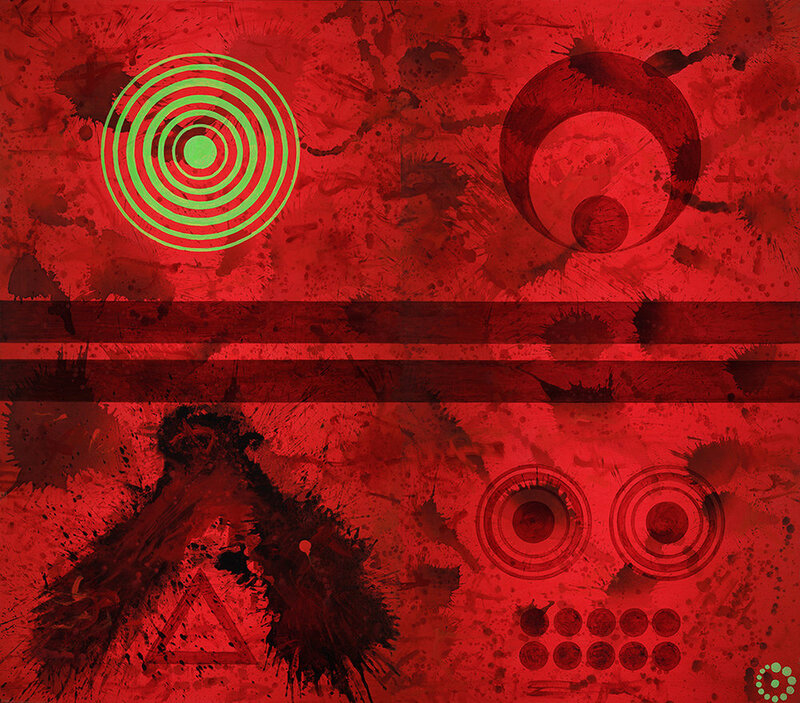 Acrylic on canvas, 72 x 120 inches (182.88 x 304.8 cm). 2 panels, 72 x 60 inches (182.88 x 152.4 cm) each. Framed: 74 x 122 inches (187.96 x 309.88 cm). Gifted to the Coral Springs Art Museum by the artist. 2017.01 & 2017.02. Acrylic on canvas, 96 x 192 inches (243.84 x 487.68 cm). Four panels, 96 x 48 inches (243.84 x 121.92 cm) each. Framed: 99 x 195 inches (251.46 x 495.3 cm). Permanently hung at the University of South Dakota Alumni Lounge, Student Union. Acrylic on canvas, 72 x 144 inches (182.88 x 365.76 cm). 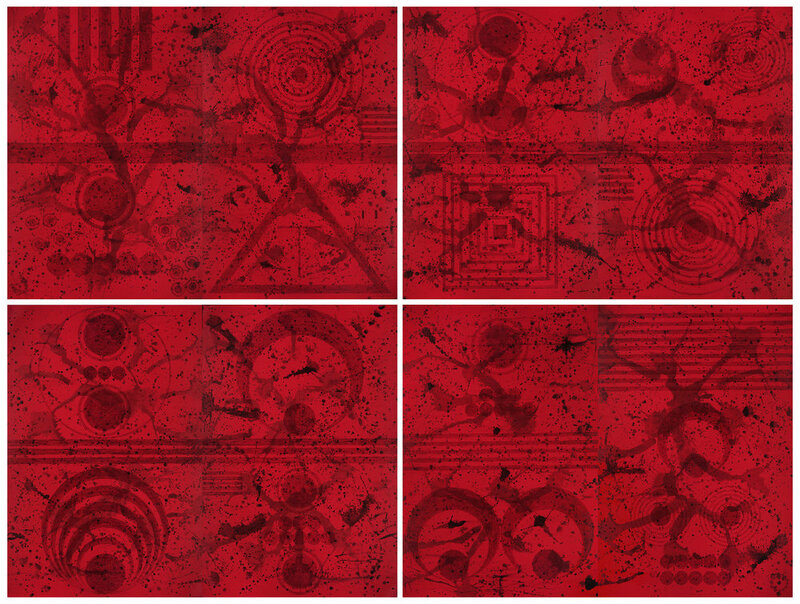 Four panels, 72 x 36 inches (182.88 x 91.44 cm) each. Framed: 75 x 147 inches (190.5 x 373.38 cm). Located in the lobby of the Beacom School of Business at University of South Dakota. Acrylic on canvas, 48 x 72 inches (121.92 x 182.88 cm). 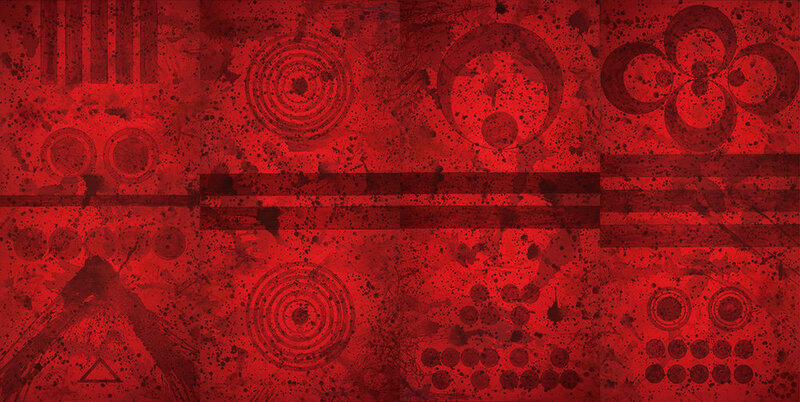 Two panels, 48 x 36 inches (121.92 x 91.44 cm)each. Framed: 50 x 74 inches (127 x 187.96 cm). Located in the Dean’s Office at The University of South Dakota’s School of Fine Arts.